Expand your capabilities with the Mavic 2 Enterprise in close range missions – your on-hand tool that is ready to be deployed at the whim of your disposal – anywhere, anytime. 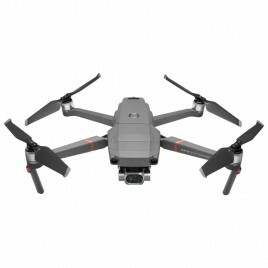 1.What's the difference between the Mavic 2 Enterprise and the Mavic 2? 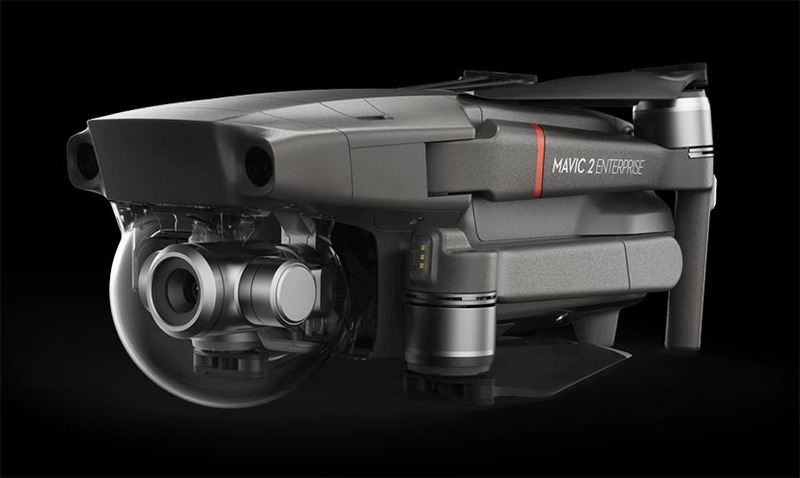 The Mavic 2 Enterprise is built on the Mavic 2 flight platform. 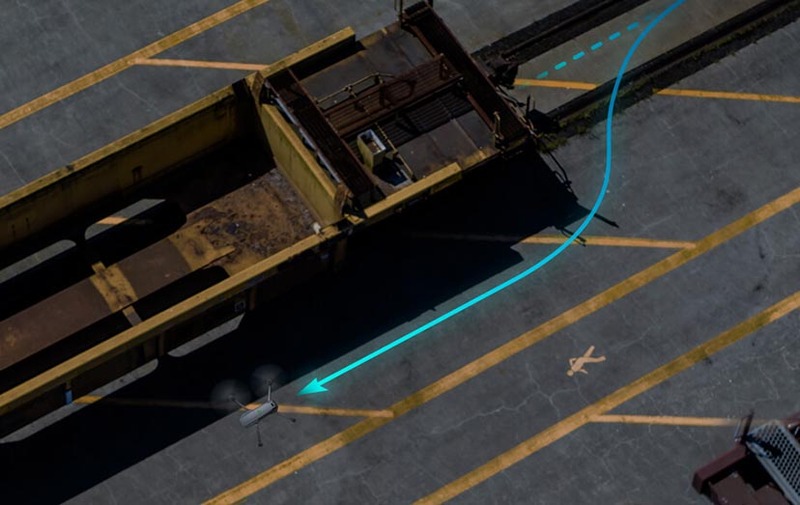 It is an all-in-one drone solution for industrial applications. 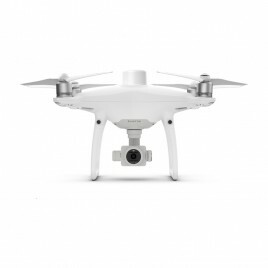 It features an extended port to mount DJI modular accessories, and comes with a self-heating battery, 24 GB onboard storage, DJI AirSense, and is compatible with the DJI Pilot mobile app. 2.What industries does the Mavic 2 Enterprise serve? 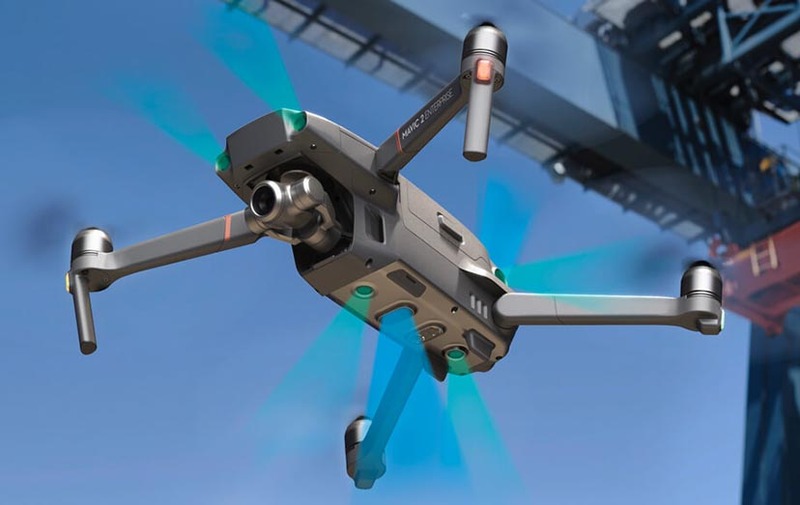 The Mavic 2 Enterprise was specifically built to serve industries and applications in public safety, inspection, search & rescue, fire response, and law enforcement. 3.Is the Mavic 2 Enterprise waterproof? No. We strongly advise that you do not fly your Mavic 2 Enterprise during rainy weather. 4.Is the Mavic 2 Enterprise capable of sensing obstacles on the left and right-hand side? Sensing for the left and right directions is only available with Tripod Mode, please pay attention to the surroundings when flying in P Mode and S Mode. 1.What purpose is the password function of the Mavic 2 Enterprise used for? Password protection is used to protect the data that the user stores on the device's onboard storage. 2.Does the password protection function also apply to the Micro SD card inserted in the Mavic 2 Enterprise? No. The password protection function only works on the device's 24 GB onboard storage. 3.In what situation do I need to enter a password on the Mavic 2 Enterprise? 3. When accessing the onboard storage data via a computer. 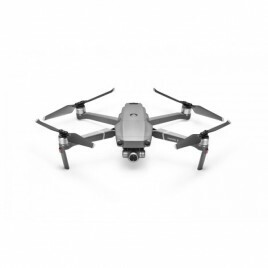 4.Can I manually set or change the password of the Mavic 2 Enterprise? 1.With regard to GPS timestamping, what information does this function record? GPS timestamping records the time and GPS coordinates of when and where images are taken. 2.How can I enable GPS timestamping? 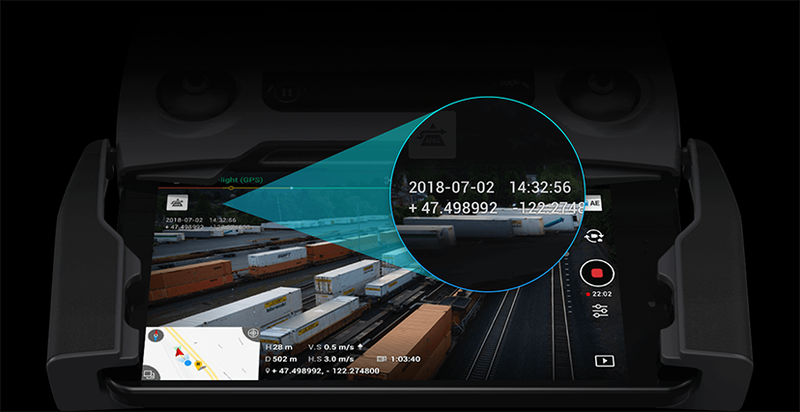 You can enable GPS timestamping in Camera Settings. 1.Can I adjust the spotlight angle through a remote controller? No. Currently, you can only adjust the spotlight angle manually before flight. 2.What is the effective illumination distance of the spotlight? The spotlight is capable of assisting the onboard camera to shoot clearly at around 30 meters away. 3.What is the effective communication distance of the loudspeaker? Depending on background noise conditions, about 20 to 40 meters in general conditions. 4.What operation modes does the speaker have? Does it support real-time voice transmission? 1.Play voice messages that are pre-recorded with the DJI Pilot app. 2.Transmit real-time voice call-outs on the ground. 5.What is the effective illumination distance of the beacon? Depending on environments, approximately 5 kilometers in general conditions. 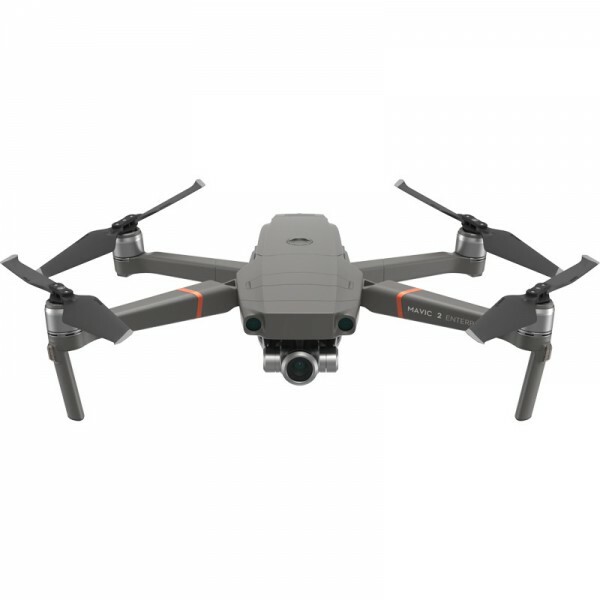 1.What advantages does the Mavic 2 Enterprise have over the Mavic Pro? 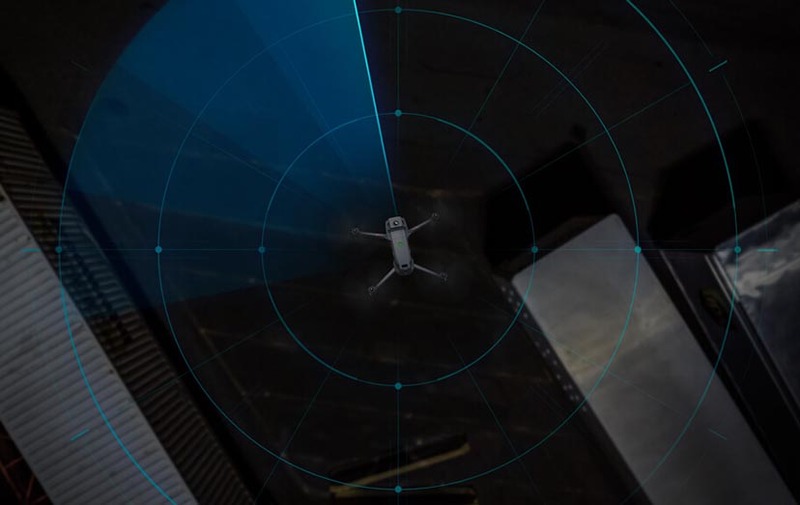 In addition to all the newly added and improved features like the modular accessories, AirSense, Password Protection, and more, the Mavic 2 Enterprise features OcuSync 2.0 - a new transmission system, capable of operating at a distance of up to 8 kilometers, and offers higher resolution, better anti-interference during flight, and lower latency. 2.How long does it take to fully charge the Mavic 2 Enterprise remote controller? Approximately 2 hours and 15 minutes. 1.Can I use the Mavic 2 Enterprise batteries on Mavic 2 series and vice versa? 2.Can I charge the batteries and remote controllers simultaneously using the Mavic 2 Enterprise charger? 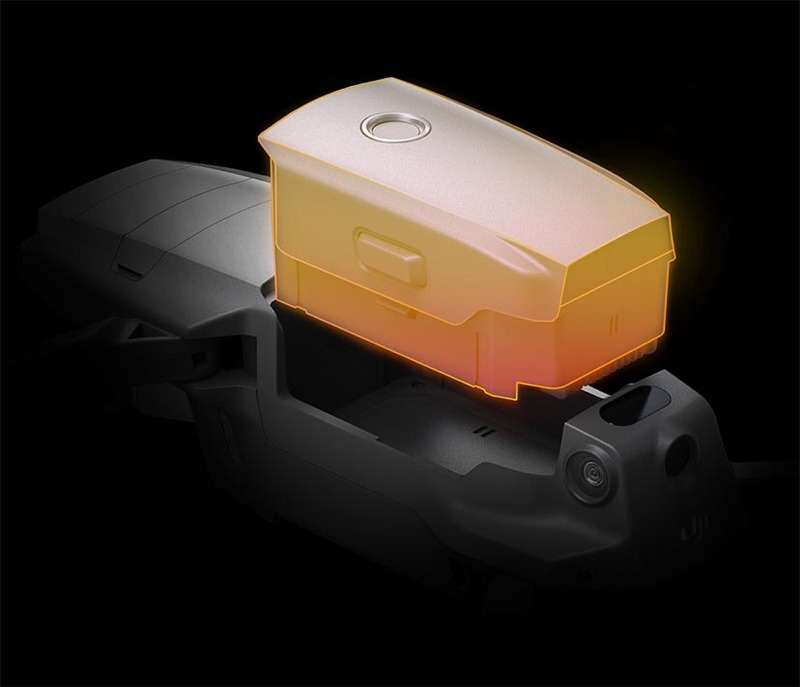 3.How long does it take to fully charge a Mavic 2 Enterprise battery? 4.How can I enable the self-heating function of the batteries? When the temperature is between -10°C to 6°C and the battery power is higher than 50%, if the battery is powered off, press and hold the battery power button for 5 seconds to enable self-heating. 5.Will the battery life reduce if stored incorrectly? The batteries are capable of managing their battery levels automatically at all times. 1.What apps are compatible with the Mavic 2 Enterprise? The Mavic 2 Enteprise is only compatible with the DJI Pilot mobile app. 2.Do I have to manually enable the GPS coordinate and timestamp?